Adding to their extensive NCAA line, the 2017 Panini Collegiate team sets highlight notable athletes from several sports wearing the uniforms of their alma mater. Much like the team-based Panini College releases of recent years, the online-exclusive sets cover multiple NCAA sports, including baseball, basketball and football. However, collectors should note that autographs and memorabilia cards are not offered in the 2017 Panini Collegiate team sets. 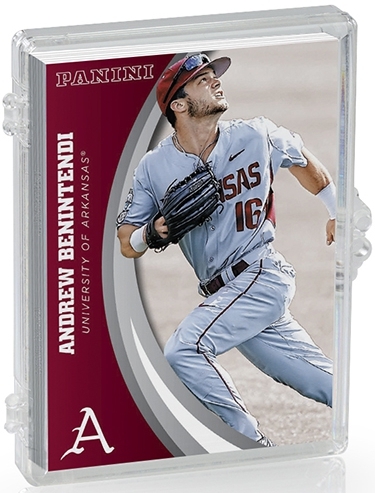 Available to purchase through the Panini Online Store, each 2017 Panini Collegiate team set is packaged and shipped in a two-piece case accompanied by the official Panini seal. Fans and collectors should note that a finite selling period was not referenced. There is also no word on whether more schools will be added for 2017. *Some team lists are missing cards based on the number indicated. Shop for available Collegiate Team Sets on Panini. 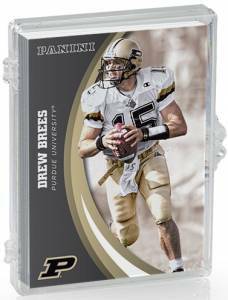 2016 Panini Prizm Collegiate Draft Picks Football Hobby Box - Factory Sealed!